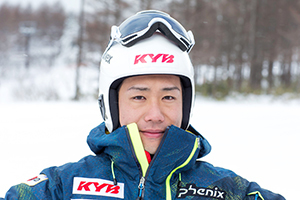 KYB started its chair ski business in 1990, with aftermarket motorcycle shock absorbers being used in products made in Japan. 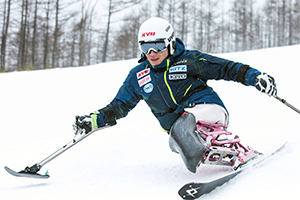 As an official sponsor /supplier of NPO JAPAN Para-Ski Federation's Alpine Skiing National Team, conduct product development /technological support for SA used by Japan team alpine skiers. 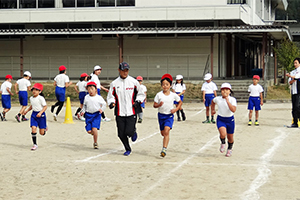 KYB sends its track and field team to local elementary schools to coach for running in physical education class. 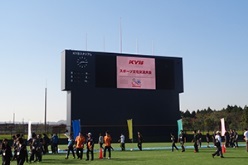 This initiative has gone on every year since 2005. 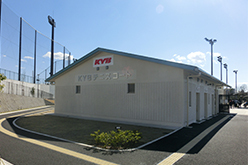 As of April 2014, KYB purchased the naming rights for Kani Sports Park Stadium and Tennis Courts in Kani, Gifu Prefecture. 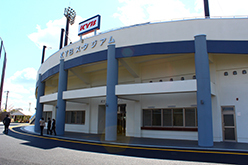 We will continue to give back to the community and promote sports with these facilities, now renamed KYB Stadium and KYB Tennis Court.